Welcome to Our Happy and Healthy Patient Community. We are lucky to share our cheerful, upbeat dental staff here in Long Beach with each of our patients. Since we believe you deserve to be treated like family, we give individual care and attention to you which allows us to better serve your needs. Our staff strives to give each of you exceptional and efficient dental care. Dr. Marvizi has been in the dental private practice sector for close to 30 years! He thrives on making strong connections with his patients, and he gets pleasure watching families mature through their dental care. Dr. Marvizi received his BA from UC Berkeley in Physiology/Anatomy. He went on to the University of the Pacific to receive his DDS, and he graduated from the Misch Implant Institute. Aside from these accomplishments, Dr. Marvizi contributed to advanced occlusion research from Frank Spear at the Seattle Institute and from Terry Tanaka and the Dawson Institute team. But that’s not all! Dr. Marvizi continues to learn cutting-edge techniques in the dental field, delivering the highest quality care to his patients. He has been awarded the advanced status of Board Certified Diplomate by the International Congress of Oral Implantologists (ICOI) for his outstanding work and expertise in the field of dental implant surgery and restoration. 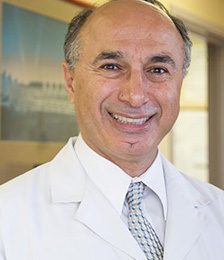 He stays active in the dental community as an associate fellow of the Misch Implant Institute, the American Academy of Implant Dentistry (AAID), and the Dental Organization for Conscious Sedation. 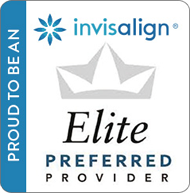 He truly wants to offer his patients an easy experience at the dentist with maximum results. Dr. Rayhan has been providing people with the highest quality dental care and personal service for 18 years. She loves building personal relationships with each patient and becoming a part of their lives and community. Before becoming a dentist, she attained her undergraduate degree from UCLA in Psychobiology, and her DDS degree from UCLA Dental School. 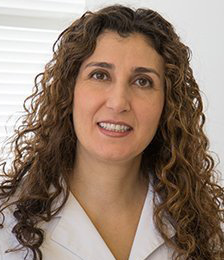 She is involved in continuing education in order to stay up to date on the latest innovations in the field of dentistry to provide the best care to her patients. She loves to help people achieve their desired health, smile, and lifestyle. Dr. Rayhan feels honored to be able to practice this form of art to better serve her patients every day. She loves the fact that her patients care about their oral health, their well-being, and their smile! I have worked with Dr. Marvizi for 10 years. In that time I have learned how important our patients are to each of us. I have developed relationships that go beyond that of the practice and have shared in the lives of many patients. It is always rewarding to see the transformation in restoring someone’s smile. I am happy to be part of a team that cares so much for their patients. I look forward to being the one who answers the phone when you call! When I’m not at work I love spending time with my family and listening to music. 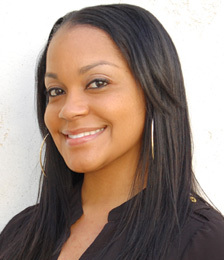 Our dental practice here in Long Beach, CA strives to make your experience as comfortable and pleasant as possible. Our team has the unique ability to provide the best care while also developing lasting relationships with our patients. If you’re in need of a dentist or need dental work, we can help and look forward to meeting you. Please call our Long Beach dental office at 562.595.4123.